Yaws is a contagious skin disease. The disease is caused by Trypanosome bacteria. The signs of the disease are the skin breaks out in pimples adjacent small so that from afar looks like a fruit frambus a ripe pimple. After quite mature, a pimple will be broke and ooze pus. Yaws is dry will cause the crust and the imprint on the skin. Wash ingredient, cut into pieces. Boiled with 5-10 litters of water to boil for 15 minutes, then strain. Wash all ingredients, boiled with 800 cc of water to the remaining 400 cc, and filtered. Usage: Take 200 cc 2 times a day. Wash all ingredients, puree. Add coconut oil and stir well. Usage: apply on the affected part. Abstinence for patients: fish sauce, spicy foods, shrimp, and fruit that tastes crisp, like durian, pineapple, and jackfruit. Herbal treatment of dyspepsia are making ingredients from medicinal plants, because these herbs are very powerful to overcome dyspepsia. Dyspepsia is a process of incomplete digestion, accompanied with an uneasy feeling in the stomach or abdominal pain after eating, gas formation in the stomach (bloating), frequent belching, and sometimes accompanied by nausea and vomiting. Dyspepsia is usually caused by overeating or drinking, or an early symptom of peptic ulcer. Wash all ingredients, boiled with 300 cc of water until boiling, then strain. Drink 2 times a day. Wash all ingredients, boiled with 600 cc of water until the remaining 300 cc, and filtered. Drink 150 cc 2 times a day. Wash all the ingredients, and then cut into pieces. Make juice, then drink. Note: Select a recipe right and do it regularly. 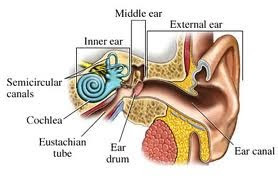 Tinnitus is a hearing loss, such as ear ringing, hissing, and echoing in one or both ears. Complaints of tinnitus can arise or disappear and constantly. Tinnitus is more common in people who work in noisy places. In general, these disorders are not serious and only temporary. Wash all ingredients, boiled with 700 cc of water to the remaining 300 cc, and filtered. Drink 2 times a day and drink lotus seeds. Wash all the ingredients, and then make a juice. Drink 2 times a day. Note: select one of the ingredients is appropriate and does it regularly. Eczema is an allergic reaction to the skin, characterized by the onset of redness and itching. Areas are often infected eczema between the fingers or toes, between the thighs, back of knee, wrist, and the area around the neck. Eczema arise because skin allergies certain substances, such as cosmetics, costume jewelry, detergents, soaps, or other chemical ingredients. Allergies to certain foods, such as fish, milk, and alcohol. Wash all ingredients, boiled with 600 cc of water until the remaining 300 cc, and filtered. Drink 2 times a day. Rinse the material, then the juice to get the results of 200 cc. Add lime juice and honey, then drink every morning and evening before meals. Wash all the ingredients and blend. Whiting add water and stir well. Apply on the skin of eczema. Aloe vera leaves to taste, peeled, mashed on the inside. Mix aloe vera leaves with bitter powder, stir until the dough is slightly thickened. Apply on the skin of eczema. Prostatitis is caused by hormonal changes in the network dihidrotestosterm increased prostate gland in adulthood. Increase in these hormones is usually caused by age, as well as the function of the reduced decomposition. So the size of the prostate continues to grow, resulting in difficulty urinating. 100 grams of fresh grass roots. Wash all ingredients, boiled with water until the remaining 800cc 400 cc, and filtered. Drink the potion 200 cc 2 times a day. 25 grams of watermelon skin. 15 grams of leaves of the gods. Wash all ingredients, boiled with water until the remaining 800cc 400 cc, and filtered. Drink the potion 200 cc 2 times a day. That is some way of making herbal recipes for the treatment of prostatitis. 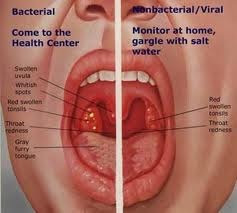 Thrush in the mouth it is very annoying also affect mood. In order not to linger lodged in the mouth, immediately overcome by the natural treatment of thrush, which is by consuming foods that have folic acid, vitamin B, iron-rich foods, and vitamin C.
Thrush or stomatitis is a growing red sores in the mouth. Thrush is a yeast infection caused by Candida Albicans. Thrush can be caused by allergy to toothpaste, stress, poor digestion, lack of vitamin B and folic acid, spicy foods, cigarettes or alcohol. By eating the right foods, can treat naturally of thrush. The intake of which can be consumed to cope with thrush, as reported by Boldsky, Monday (03/26/2012). Vitamin B deficiency can cause anemia, fatigue, depression, and thrush. Therefore, do not forget to include foods that contain vitamin B in your daily diet, such as oysters, fish eggs, soy milk, meat, eggs, and rice milk. Iron is not only to heal thrush, but it also strengthens bones and muscles. To stay healthy and fit, always consume iron-rich foods like spinach, beef, oysters, chicken liver, turkey, sesame, cereals, pumpkin, potatoes, broccoli, wheat gram, and eggs. Thrush is a disease that can appear repeatedly. Thrush can be prevented by incorporating folic acid in the diet. Dark green vegetables such as spinach, asparagus, lettuce, green peas, and radishes are rich in folic acid. Similarly, in nuts, papaya, pineapple, bananas, and oranges can be beneficial to heal thrush. This is not food, but has a great healing effect. Coconut water can heal sores in the mouth with frequent drinking during the treatment period. This is because coconut water is capable of relieving inflammation and prevents ulcers from recurring thrush. Citrus fruit, pineapples, and bananas are healthy foods to heal thrush. These fruits can be helpful for digestion, anti-inflammatory, and rich in vitamin C. Vitamin C is needed in people who are thrush. Similarly, some food for the natural treatment thrush, it is recommended to consume during the treatment thrush to heal faster. Green coconut fruit is very beneficial for pregnant women in maintaining pregnancy. Pregnant women are highly vulnerable to health. Any foods consumed by pregnant women in general are very influential in the development of the fetus in his stomach. 1. Electrolytes: Natural coconut water is rich with content of electrolytes, chloride, calcium, potassium, magnesium, sodium, and riboflavin. As a natural isotonic electrolyte rich in minerals and has a body with electrolytes, coconut water is very beneficial for rehydration and recover stamina. 2. Diuretics: Experience As a natural diuretic that sterile, young coconut water diuretic and helps cleanse the urinary tract. It is nutritious substances out toxins from the body and prevent urinary tract infections, which are also quite common in pregnant women. 3. Anti diseases: Young coconut water contains lauric acid, the acid helps fight disease. Lauric acid in coconut water contained the same as those found in breast milk and has a characteristic antifungal, antibacterial and antiviral, so maintaining the health of mothers and babies from viruses such as herpes and HIV, giardia lamblia protozoa and bacteria chlamydia and heliokobater. 4. Helps Digestion: Coconut water is also believed to improve digestive function. During pregnancy, the placenta produces the hormone progesterone, which slows muscle contraction of the stomach so that digestion was slowed. Coconut water can help increase the speed of digestion. 5. Increase HDL: Young coconut water does not contain fat and cholesterol, even in research can increase good cholesterol (HDL) in the body.